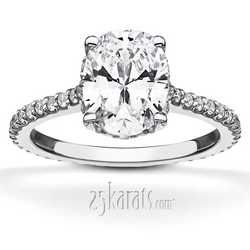 This elegant engagement ring is made to display diamonds. 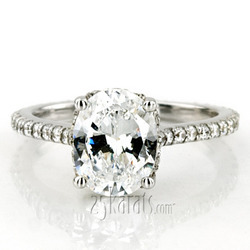 Tiny pave beads makes the diamonds look like floating on your finger. 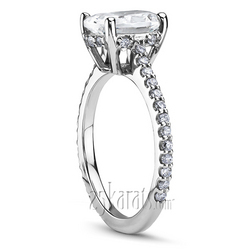 This beautiful oval center engagement ring is furnished with 0.39ct. 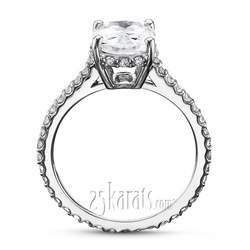 total diamond weight G/SI or better diamonds. 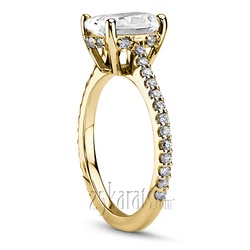 This setting is available in 14k, 18k gold, platinum, palladium.